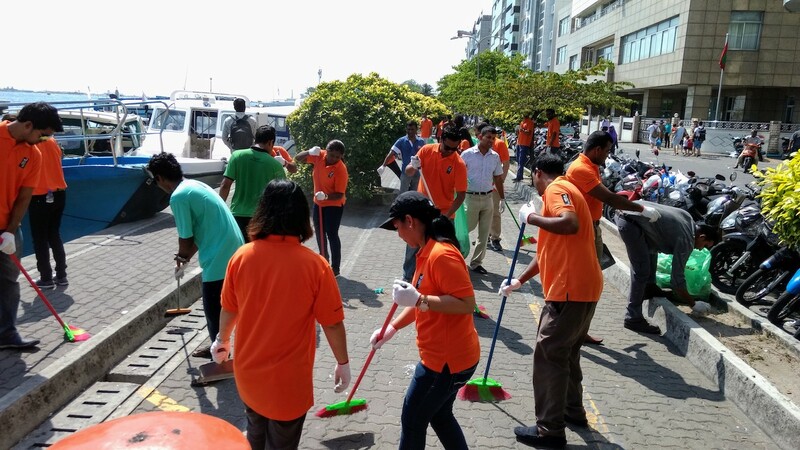 Hotel Jen Malé Maldives has partnered up with local NGO N-Range for Malé city cleaning challenge campaign. This challenge will continue for the entire 2017 in which the private and public sector companies nominated by N-Range will clean the allocated assigned area within the capital city of Malé. Thirty colleagues from Hotel Jen Malé Maldives joined the cleanup day that started from Ameer Ahmed Magu one main roads of Malé city approximately 3 km starting from the Republican Square, Hotel Jen Malé Maldives aims to show visitors that Malé city readily welcomes tourists and to raise the people’s awareness. 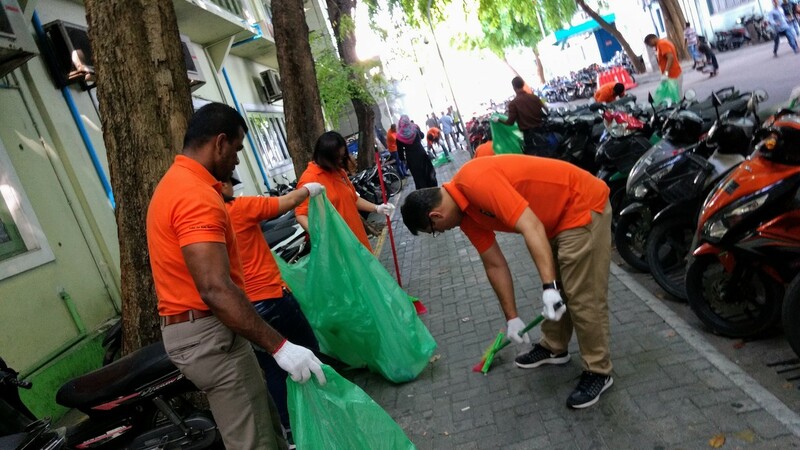 “We are honored to be a part of such a challenge, the Malé City cleanup challenge is a fantastic initiative supported by the government and local sectors that will help the tourism industry” said the General Manager Rahim Flynn, Shangri-La properties are well known for doing their part in corporate social responsibility, raising awareness, contributing and conducting initiative awareness programme every year with interesting events for society, guests and staffs. 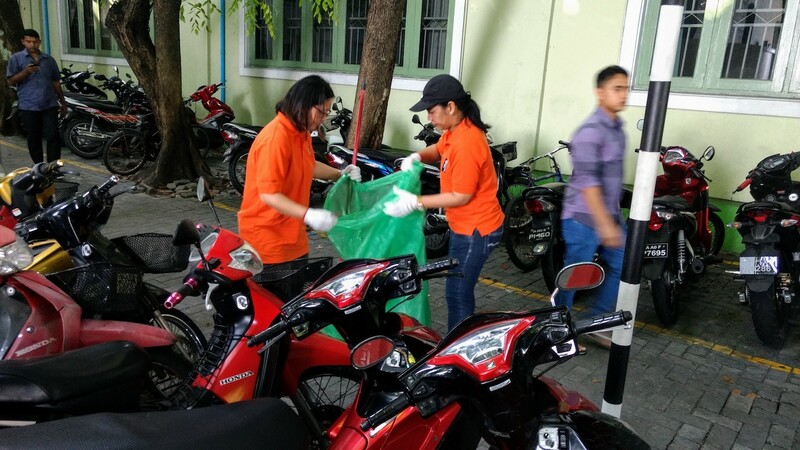 The fun-filled clean-up program lasted for almost three hours during which the volunteers collected 15 big polythene bags of trash and debris from the allocated locations. By beautifying the surroundings, the participants learned the value of hard work, giving back to their communities and sprucing up the city for all to enjoy. Catering to urban adventurers, the Hotel Jen brand delivers quality, comfort and value with a playful twist and friendly service. Hotel Jen embraces the love for life and travel, helping curious travellers to leave boring behind through spontaneous experiences, Page 2 of 2 unpublished insights and unconventional perspectives. Launched in 2014, Hotel Jen offers nine vibrant hotels in some of the best locations across Asia Pacific, including Singapore; Hong Kong; Shenyang, China; Manila; Penang and Johor in Malaysia; and Malé, Maldives. A number of Hotel Jen properties are in the pipeline including in Beijing and Malaysia. For more information, visit www.hoteljen.com or join the conversation on Instagram, Facebook and Twitter.